I can tell you about the standing of our first speaker with a little story. Elie Wiesel gives a series of lectures every year at the 92nd Street “Y” in New York on different biblical figures, and he mentioned to me that he was going to give one lecture this year on Miriam. Of course, that immediately brought up the subject of Phyllis Trible’s work. He told me he didn’t know Phyllis, so I suggested luncheon together, and he jumped at the opportunity. I called Phyllis, and the three of us shared a long, leisurely lunch at Le Perigord. It was a wonderful occasion. I just sat there quietly in the middle and listened. I’m only sorry I didn’t record the conversation because it was magnificent. Elie Wiesel and Hershel Shanks are not the only people who hold Phyllis Trible in high regard. The 4,500 members of the prestigious Society of Biblical Literature, all scholars, elected her their current president. She delivered her presidential address to thousands of Bible scholars assembled at the annual meeting of the society in Chicago on November 19, 1994. 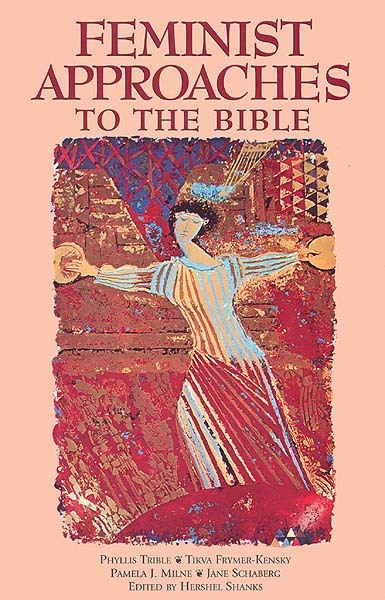 Phyllis is best known to the general public for her two path-breaking books, God and the Rhetoric of Sexuality and Texts of Terror: Literary Feminist Readings of Biblical Narratives. It is a pleasure for me to present to you the Baldwin Professor of Sacred Literature at Union Theological Seminary in New York, Professor Phyllis Trible, who will speak on “Eve and Miriam: From the Margins to the Center.”—H.S.